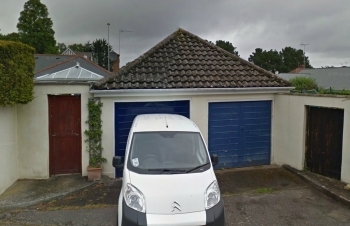 Borough of Poole: Pure Town Planning is delighted to have assisted in securing a planning consent for the erection of a replacement detached garage block with additional study in the roof space, serving 52a and 52b Lilliput Road, Poole. The application involved demolition of the existing dilapidated garage block, accessed off Lagado Close, and the erection of replacement garage block of increased mass and scale. The increased built form of the garage was secured to provide additional space in the roof to accommodate study space for both properties. Whilst Borough of Poole’s planning officer’s recommendation was to grant the approval, the application was red carded by a ward councillor on the basis of neighbouring concerns relating to the impact of the proposed development on the Lagado Road streetscene and an objection from the Open Space Society against the potential loss of open space the proposal would create. At this stage, the applicant contacted us in order to represent them at Poole Planning Committee and to put forth the merits of the application to the planning board. We subsequently analysed the application and the collective concerns of the ward councillor, neighbouring residents and the Open Space Society in great detail and prepared our deputation to systematically address the respective concerns of all parties. Following our deputation, committee members were satisfied that all measures had been taken to ensure that the proposal respected both the streetscene and the associated open space. Many members praised the rejuvenation of the ageing garage into a much improved and more functional use of space. 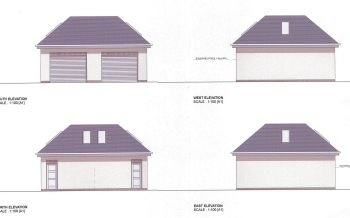 Subsequently, the council members voted unanimously in favour of supporting the application for approval of the replacement garage/study block. Pure Town Planning were instructed at the end of the process to get the scheme over the line and receive the all important planning permission. We are finding that demand is growing for our ‘Planning Committee deputation service’, as a number of architects and householder clients have seen the benefit that having a professional planning consultancy to present a comprehensive argument to the Committee can bring. If you have an application going to committee and feel you would benefit from someone experienced addressing the committee members on your behalf, then give Pure Town Planning a call on 01202 585524 and let us push home the approval for you.